Site ad link: For sellers who have active ads , you may proceed to promote your booth once payment done on the CARING MOMS FB GROUP. Those who have not subscribed for ads, you can promote on the event day, and post on the event page. If you wish to subscribe follow caringmoms.my/sellers . If food, HAVE YOU TAKEN THE FOOD HANDLING CERTIFICATION AND THYPHOID. (Sellers who are selected Must Display Both Certifications or else the booth can be removed from the bazaar) Kindly indicate if you already have these TWO certification. If you have not, kindly register here caringmoms.my/events . The event is bound by Terms and Conditions and Personal data Protection Act. which may change from time to time. It is responsibility of participant to ensure to have read and agreed to terms before completing this form and participating in the event. Please select your booth type. You May share a booth by selecting the Shared Booth Type. Please note you will be required to enter the details for yourself and the person that will be sharing the booth with you. Sharing is limited to only two partners in totality (in any combination). Option C is for C for sellers WITHOUT active ad link at caringmoms.my/adverts . Please note at any point in time 4 pax can be there in any booth. All selling and promotional activities are limited to booth area and distribution of flyers or doing Survey etc beyond the booth area is not allowed. Describe all the products / services that is planned to be sold / promoted in your booth. 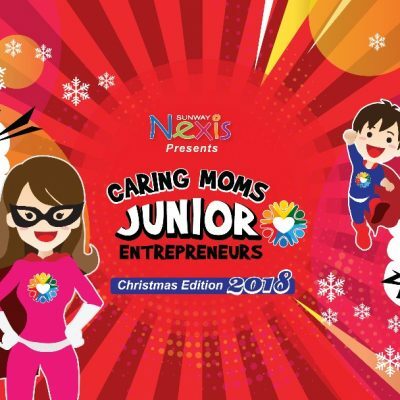 Explain about your Junior Entrepreneur/s and whats are they going to do in the booth. Mention all the brand names and product names that will be sold or promoted. 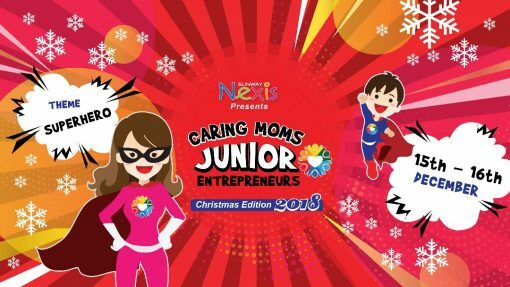 CARING MOMS is pleased to announce the Third edition of its “JUNIOR ENTREPRENEURS Bazaar- CHRISTMAS EDITION” in partnership with Sunway Nexis, an event that will profile inspiring Caring Moms and their children. The event will have Children / Junior Entrepreneurs leading sales & promotion in the forefront while supported, guided and mentored by their parents / guardian. Best time for Christmas Shopping Homemade Goodness!! Entry is FREE for Public, come with your whole family. Make sure you bring your children to get inspired and absorb right values.